With The International just around the corner, we’d like to announce an exclusive reward, the 2015 Collector’s Aegis of Champions. The Collector’s Aegis is a 1/5th scale alloy replica, with antique brass plating, of the winner’s trophy at The International. Inscribed on the back with the year and a gold finished insignia signifying this year’s theme, the Collector’s Aegis is a symbol to reward those whose Compendium Level has reached 1000. 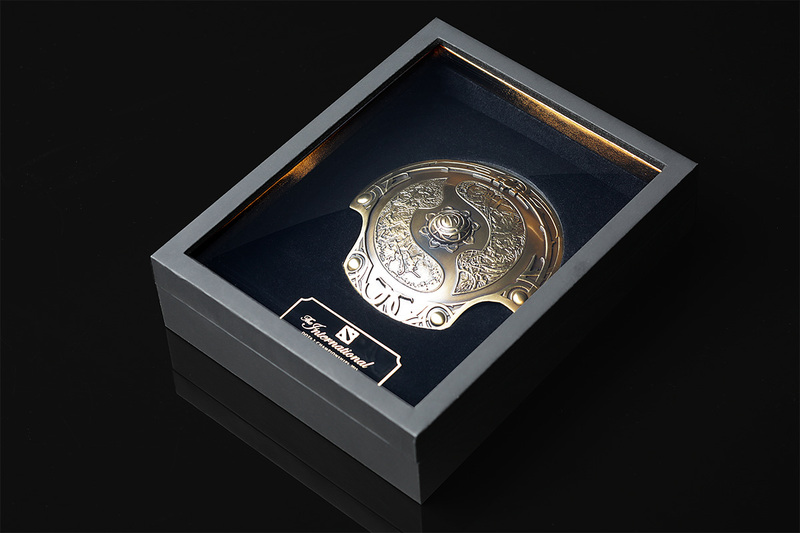 After the conclusion of the grand finals of The International, we will send the Collector’s Aegis to all players with a Compendium Level of 1000 or above. Additionally, when in a Dota match, the Aegis of Champions in the player’s fountain will have a special glow effect that lasts until the next International. If you have a Level 1000 compendium by the end of the Grand Finals, you can fill in your shipping information on this website. In other Compendium news, the Immortal Treasure III is almost ready for release. We will be releasing it and the additional Compendium Pet style by the end of the week. The International 2015 has become the biggest event in Dota’s history, and one of the largest events in competitive gaming. This wouldn’t be possible without the continued support and passion from everyone in the Dota community.